The less complex the techniques, the more effective. 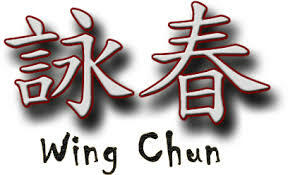 Wing Chun Kung Fu is a result-oriented martial art from Southern China made popular in the United States by the late Bruce Lee (1940-1973). Prominently known for the one-inch punch, blind-folded sticky hands, and wooden dummy, Wing Chun is the only martial art developed by a woman. Recognized for efficiency and economy of movement, Wing Chun's concept-based system engages long-term devotees through progressive training techniques applicable to real-life situations. True to its origin, a few well-chosen concepts produce a wealth of expression to effect simultaneous attack and defense techniques. Studied by special forces, martial art enthusiasts and anyone that desires a discipline in a meditative exercise that develops form, balance, and self-awareness, Wing Chun hones fundamental principles and techniques to progress in a self-defense practice. The appeal is in its simplicity and depth. Come in for your complimentary demo.